Previously, we discussed the advantages and disadvantages of three business models for modern food ordering and delivery startups. There are basically three types of on-demand food services – order-focused platforms, logistics-focused platforms, and full-service platforms. At Yalantis, we think that logistics-focused platforms – in other words, food services that aggregate orders and provide a fleet of delivery vehicles to their partner restaurants – are the most promising type. So what do you need to do if you want to build an on-demand food ordering and logistics service? We will start by pointing out some particularities of developing an on-demand food ordering and logistics platform. The biggest challenge usually faced by developers is the need to build for different audiences – customers, drivers, and restaurants – since this type of service involves all three groups working together. Today, we’ll talk purely about developing the customer-facing part of the product. The big question that arises at this point is: What will be the most challenging features to implement for the customer-facing web and mobile app? We studied several of the most popular food delivery apps including Postmates, UberEats, GrubHub, Caviar, and Pizza Hut. Even though these belong to different categories of food delivery apps and use different approaches to managing their business, all of them have certain things in common. Based on an analysis of these apps, we came up with a list of must-have features that a modern-day food ordering platform can’t survive without. Let’s see what they are. Aggregating restaurant data is one of the central features of many food ordering platforms. How can we provide access to all the necessary information about restaurants – addresses, hours, menus, and that kind of stuff – so our clients can place their orders? Luckily for us and any other entrepreneurs who want to launch a food startup these days, there are a number of proven solutions such as GrubHub’s API. GrubHub’s semi-public API can be used to retrieve menu information from a database of more than 10,000 restaurants. Using this API, restaurants can export, store, and update information in the cloud. GrubHub’s API can be also be used by a food ordering application to transmit order information alongside payment details to a partner restaurant. 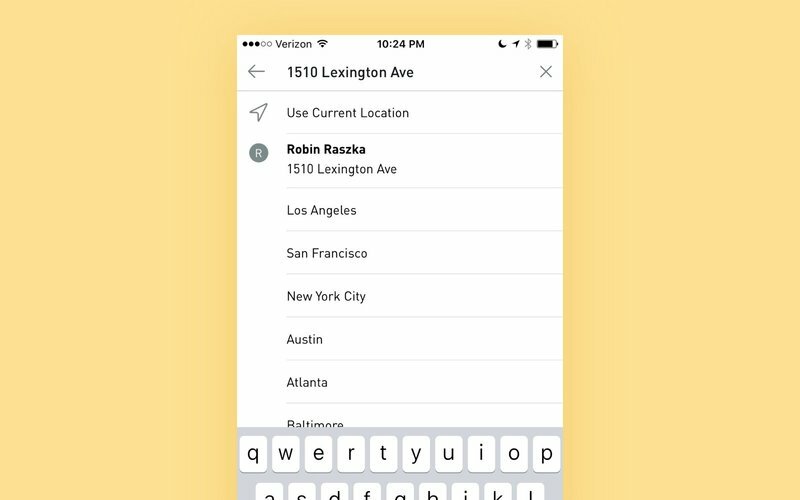 Postmates relies on Foursquare’s API to connect their customers with restaurant listings. In case you’re not familiar with how Postmates works, the application is integrated with local search and discovery service Foursquare, which lets users search for food and view restaurant menus and prices. Postmates then takes an order, sends it to the restaurant, and sends a courier to pick it up. It would be lovely if we could give our customers an idea of when their order will arrive. Big pizza giants such as Pizza Hut, for example, have already started providing this feature, since modern customers care about their time and put a premium on promptness and accuracy. 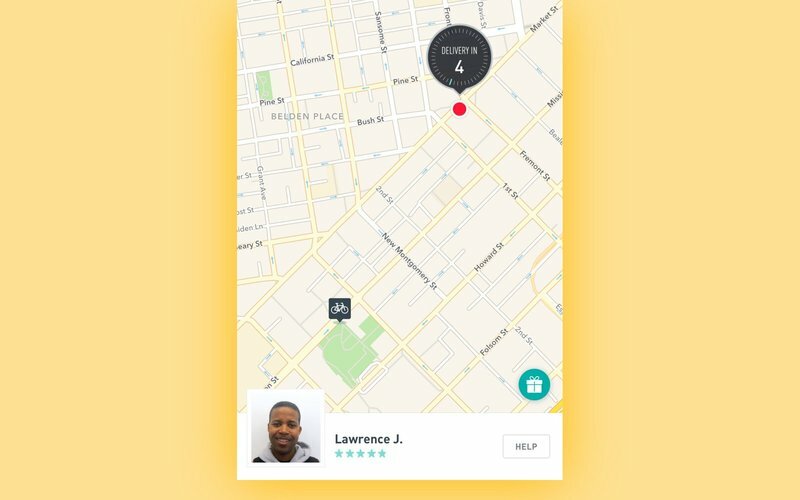 Food delivery platforms like Postmates also tell users the exact time when delivery will be made. You might be wondering, “How is this possible?” Well... we can accurately predict delivery times thanks to machine learning. Machine learning algorithms take into account many factors such as order volume, delivery location, and availability of drivers to calculate an order’s precise arrival time. For those of you who are especially interested in the topic, here’s a nice article explaining all this stuff. These days, it would be hard to find a food app that doesn’t provide in-app payments: Domino’s, Starbucks, Taco Bell, and even McDonald’s all allow users to order and pay right within the mobile app. Our future food ordering platform won’t be an exception. 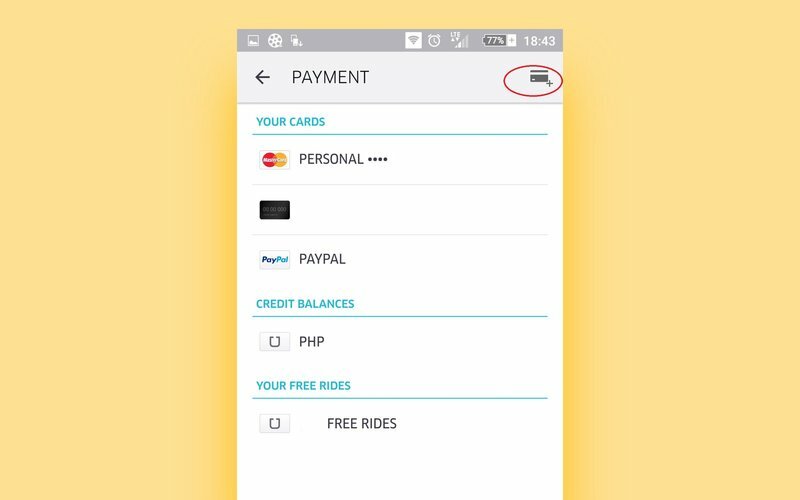 You can integrate your app with Stripe or Braintree to let users pay by credit card or debit card. You can also accept payments via PayPal or Visa Checkout accounts, or you can use Square’s API, which redirects users to the standalone Square app where they can finish the payment procedure. We’d recommend you provide as many payment options as possible to provide the most convenient customer experience. After Uber set new standards for on-demand delivery services, companies that offer food delivery, including Pizza Hut, Postmates, and Caviar, started to adopt Uber-esque delivery tracking features. How can you integrate GPS tracking into your own food delivery app? First of all, you will need to determine a user’s location. Depending on the type of devices you build for, you can use CoreLocation framework (iOS) or Google’s Location API (Android) to determine a general geographic region, precisely locate a user’s device, and monitor its movements. After determining a user’s location, the next step is to provide driving directions, which is extremely useful for both delivery drivers and customers. If you build for iOS, you’ll most likely to use MapKit for directions.For the Android platform, you’ll need to use the Google Maps API. The final component is to integrate mapping software into your app. Just as Uber does, you can integrate Google Maps into both iOS and Android versions of your app. Google’s and Apple’s geolocation libraries aren’t the only solutions for GPS tracking, however. You can also use TomTom’s NavApp and MapLibrary APIs, or rely on Waze’s navigation API, which will be useful if you want to build for both web and mobile. Postmates, DoorDash, UberEats, and other food delivery companies that cooperate with freelance delivery drivers need to make sure that their free agents don’t let them down when it comes to providing timely service. So how do they ensure the timeliness of deliveries and professionalism of couriers? With using reviews and ratings. Rating drivers is nothing new for Uber-like services. This approach allows companies to curate their freelance staff and retain only the most reliable workers. 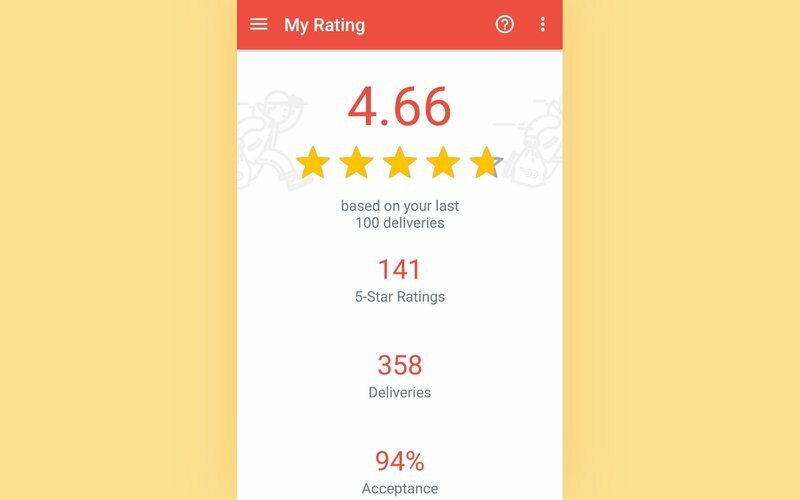 Services like Postmates, UberEats, Doordash let users rate the driver who delivers their food. Users also get a chance to tip drivers if they’re particularly satisfied with the delivery. However, these companies say that tipping is optional. When it comes to full-service platforms, you can also give your users the opportunity to rate individual chefs and their dishes. Munchery, for example, allows customers to not only post reviews after a meal, but also directly message a chef. Listening to you customers’ opinions gives you a better understanding of what you can do to provide even better service. 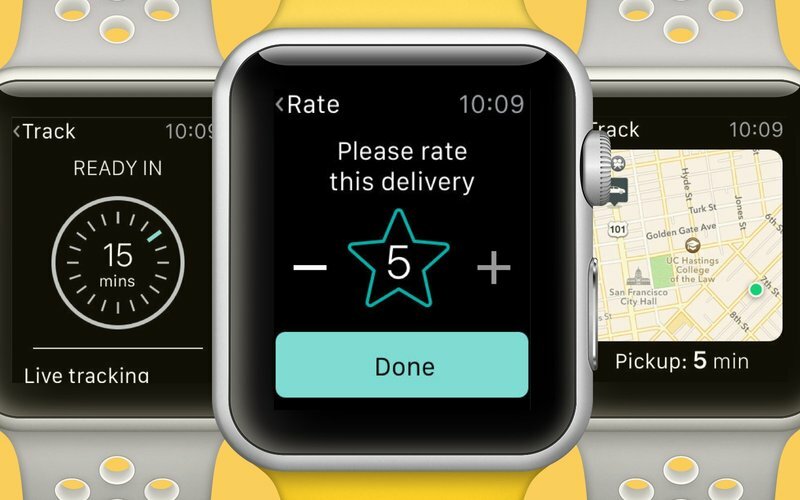 The last feature that we will consider for a customer-focused food delivery app is a smartwatch extension. A smartwatch app can make ordering food even quicker and ￼￼￼more convenient. Of course, choosing what food to order is still best left to bigger screens, but users can easily get notifications about order status, track delivery in real-time, or even rate drivers using a smartwatch app. You can also pamper your audience with some cute iOS lock screen widget, which may be useful if they need some information at a glance. Foodpanda’s lock screen widget provides you with the list of the hottest deals in your area; Just Eat’s widget makes it possible for its users to see the state of their orders. These are some ideas of what you can stuff your food-delivery app widget with, but you can always put some more flavor into it. Progress never stops, and the food delivery industry is changing rapidly. First, the industry shifted from phone calls to online ordering; soon we’ll see drones delivering food instead of drivers. Food industry giants are constantly integrating new technologies to delight their customers, and mobile and web apps with new features are being introduced almost daily. Don’t worry, though – we’ll monitor the latest trends and keep you up to date!